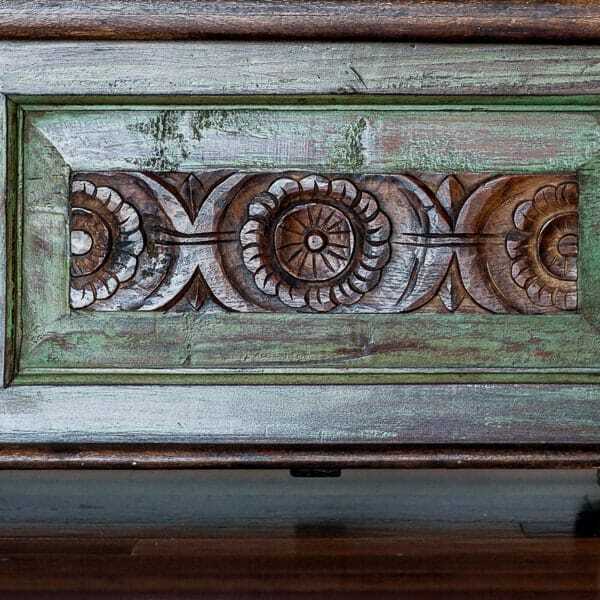 This gorgeous hardwood trunk with hand carved flower detail would make an ideal coffee or side table. 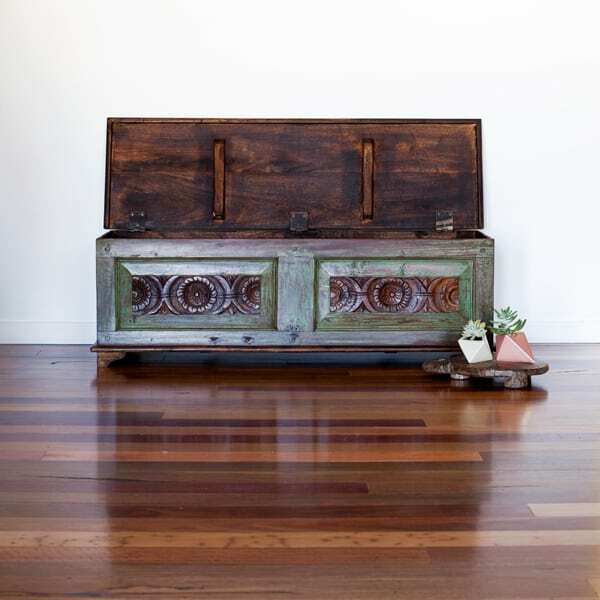 Featuring a green patina on the front panels with clean back and sides, the entire lid opens to offer a stunning storage solution. 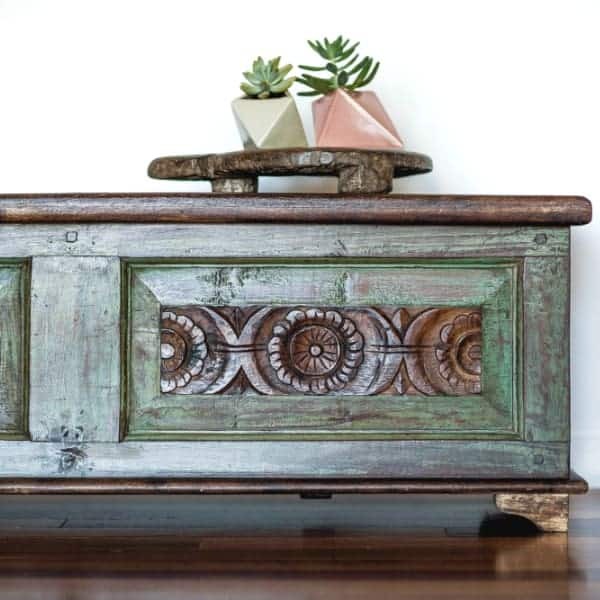 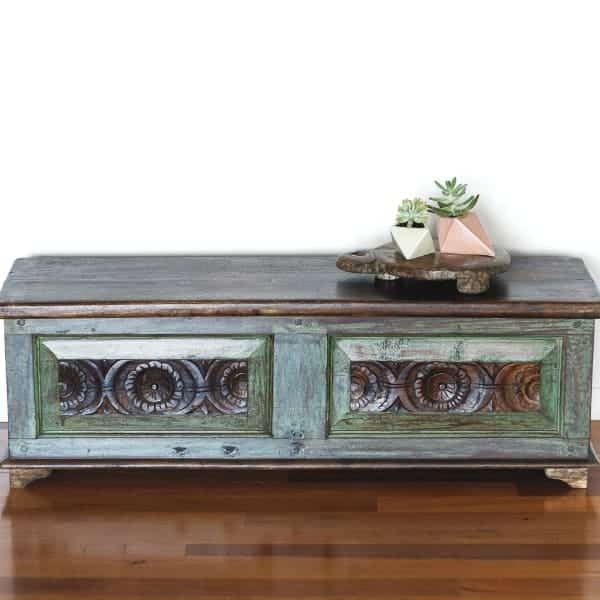 Handmade hardwood trunk from India with green patina and a beautiful carved fascia panel.